A DBA gives a small business a level of credibility that the owner may not be able to achieve using his name alone. An official business name communicates a level of professionalism on the part of the owner. It helps the business and its products and services to be taken seriously. For example, "Greenlawn Landscaping Systems" carries greater weight than "Joe Smith." Taking the trouble to establish a formal name for your business signifies to your customers that you're committed to your field. A DBA also allows a business owner to develop positive associations between his service or product and the name of the business itself. Some brand names have become so successful that they almost become synonyms for the products they promote -- Kleenex, Xerox and Rollerblade are just a few examples. The edge that brand recognition gives you in the marketplace is an asset that can be sold to a future buyer. A DBA also helps identify the purpose of your business, which is useful when you want to be the first business a customer considers. In addition to credibility and brand recognition, DBAs help small businesses avoid the double taxation of corporations. Many corporations pay taxes on their profits, only to have profits taxed again as personal income when they are distributed to individual shareholders. With a DBA, all profits pass through to the owner's personal tax return so the profits of the business are taxed only once. Pass-through taxation is a feature of LLCs and corporations that file their returns under Subchapter S of the Internal Revenue Code -- these are known as "S corporations." But DBAs are simpler to create and maintain. Typically, all you need to do to operate under a valid assumed name is ascertain that the name you choose is available for use and file a short certificate of assumed name with your county's Register of Deeds or a similar local official. LLCs and corporations require documentation such as operating agreements, charters and shareholder agreements. They may also have to file annual reports with their state's Secretary of State or face dissolution. Over time, the various fees associated with starting and maintaining LLC or corporate status becomes expensive and consumes more time than the average entrepreneur wants to invest. The acronym DBA stands for “doing business as.” A DBA is a business name your company uses that is different from the name of the company or the name of its owners. States have slightly different filing requirements and may use similar terms for the DBA concept such as trade name, fictitious name and assumed name. Not all states require registering fictitious names, but doing so will help eliminate potential confusion in the event another business uses a name similar to yours. 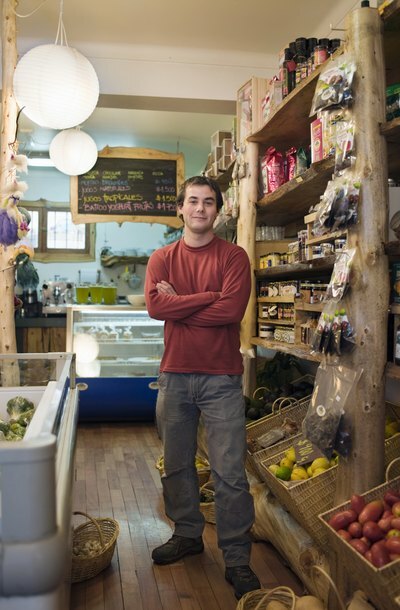 Can Sole Proprietorships Have Multiple Owners?